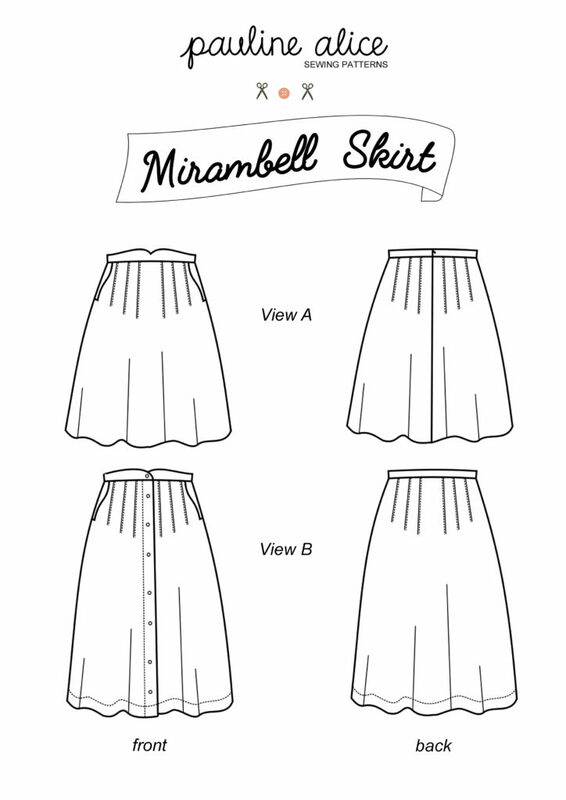 Hello, I just finished making a muslin of view B of the Mirambell skirt in a size 36. 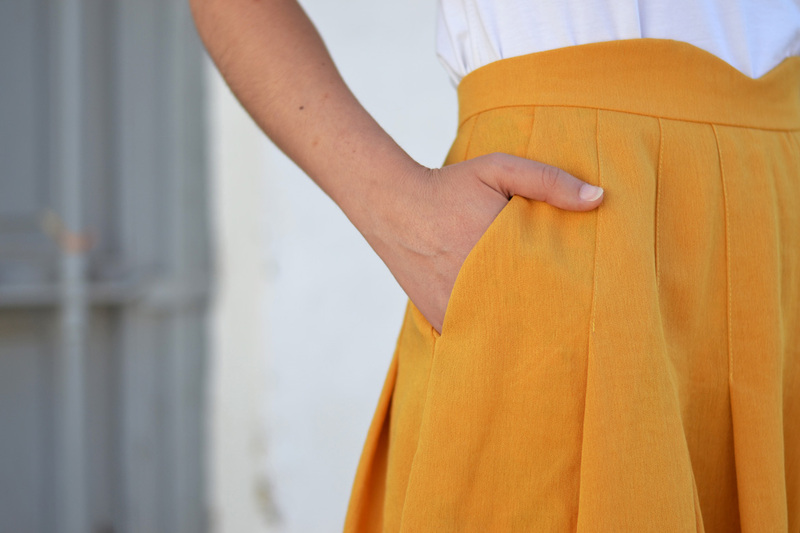 I noticed when I was attaching the waistband that went past the edges quite a bit more than 5/8″, maybe as much as 1.5″. I wasn’t sure if I had mis-measured the waistband pattern or somehow messed up in doing the main skirt pieces. It turns out the quirt is about 2″ too small, which means the waistband was the correct size. 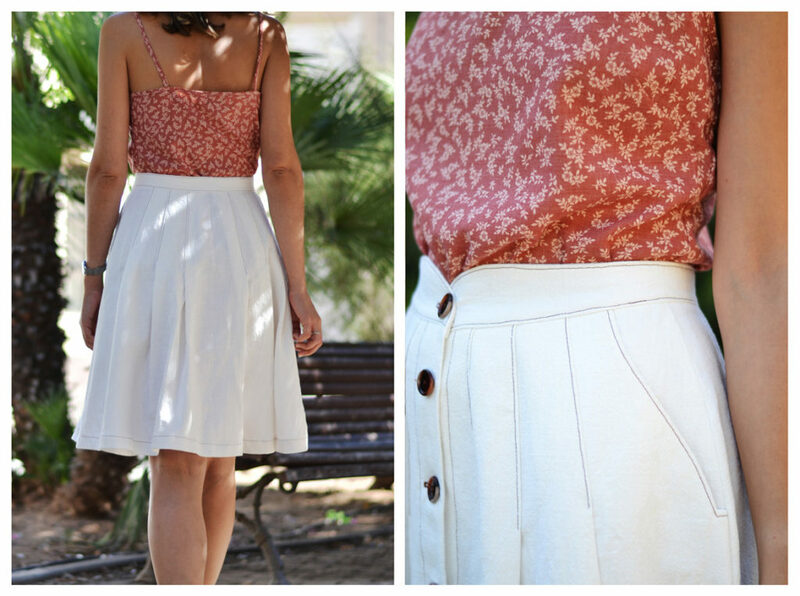 Have you used the pattern for size 36 before? I feel like I traced it correctly (I bought the paper version in a store) and did all the pleats accurately, so I don’t know where I could have messed up on such a large scale. That being said, I have never done knife pleats before. I suppose I will need to make another muslin before cutting into my nice fabric I’ve chosen for the skirt. Do you have any advice? Definitely possible I made the pleats too wide. I will try again, merci beaucoup!